Take 47 years of experience and add 35 more! 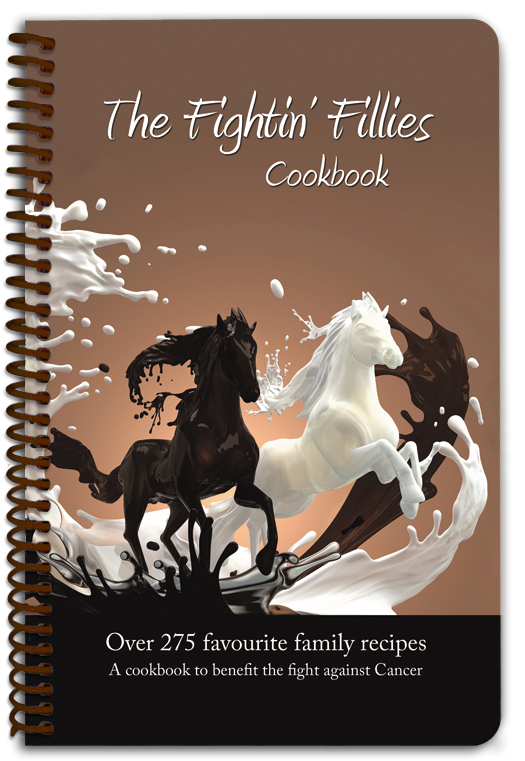 Mix cookbook covers / dividers / and choices galore! A spicy combination and oh so much fun! 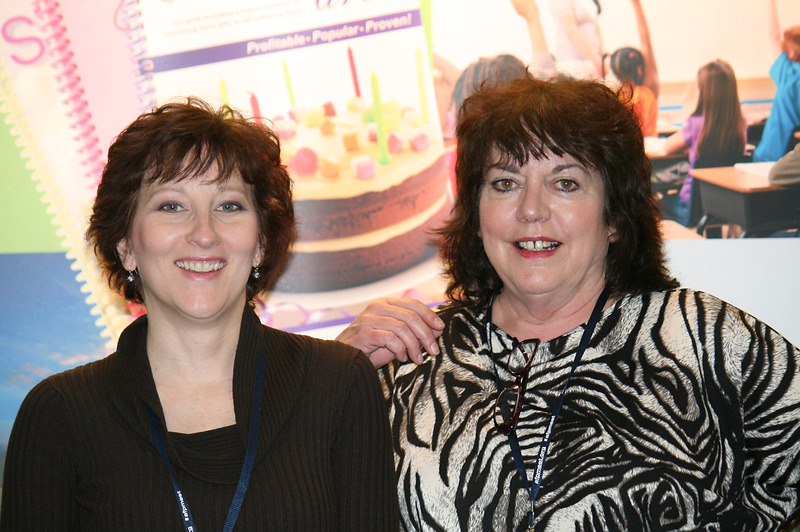 Mix in customer satisfaction – it’s our aim to please! At Gateway Rasmussen – The Cookbook Printer! Gateway Publishing Co. Ltd. is very excited to announce their merger with Rasmussen Company. This merger now makes Gateway Rasmussen one of the largest fundraising cookbook publishers in North America. We are committed to helping organizations and groups raise funds for their various projects and causes. We will continue to provide the highest quality product that is competitively priced and produced with the utmost care and concern. Please feel free to contact us, should you have any questions about a cookbook project that is currently in production or if you’d like more information about getting one started! Have you ever had one of those days when nothing seems to work out right, when every time you try to solve a problem another one presents itself? For Marla Avery, it wasn’t a day or two. It was months. Marla’s journey began in July 2008 when she was diagnosed with melanoma cancer. Shortly afterward her left eye was removed, standard procedure where tumors reach a certain size, which was the case with Avery. 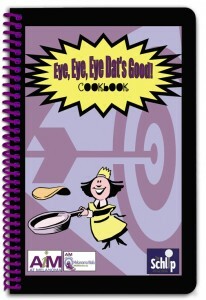 The cookbook, called Eye, Eye, Eye Dat’s Good!, is full of recipes for tasty southern dishes, and touching stories about both tragedy and survival. 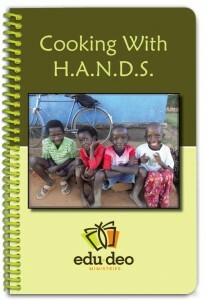 Funds raised through the sale of the cookbook are being directed to AIM at Melanoma, a Plano, Texas based non-profit. AIM is the largest international melanoma organization focused on melanoma research, education, awareness, and legislation. AIM is the result of a merger between two foundations, each originally formed in memory of a person taken by this horrific disease (Charlie Guild and Jim Schlipmann). It was a pleasure to attend this year ’s Association of Fundraising Professionals 2012 Vancouver 49th International Conference on Fundraising. Their slogan was “Drive Passion, Drive Fundraising & Drive 2012” and from Apr 1 – 3 that’s what we intended to do. 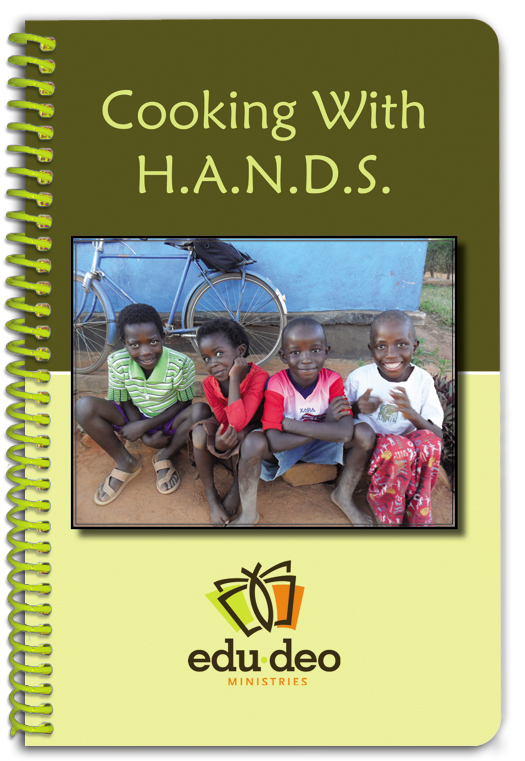 Drive the idea that cookbooks are an excellent fundraising tool for all types of non-profits! We set up our fundraising cookbook display in the Exhibit Hall, gave away 500 cookbooks and spoke to hundreds of people from a variety of non-profits from all over the world. Many who stopped hadn’t thought of cookbooks as fundraisers before and were very impressed with how much you can customize your cookbook to reflect your organization’s needs. One attendee, from Lakeland College, wanted to include a history of their college as they are celebrating their one hundred year anniversary. He thought cookbooks were such a great idea he even started selling our cookbooks to other attendees standing at our booth! Thanks Kevin Davies! 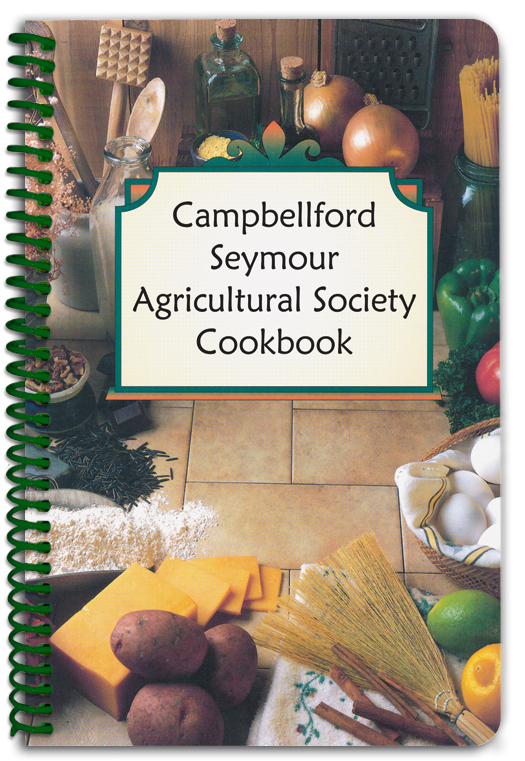 We sell the concept – Cookbooks are a very profitable venture – we sell each book to the non-profit for approximately $3.00 – $5.00 while your group re-sells it for $10.00 or more. This means you can make 200 – 300% return on your investment! We look forward to corresponding with all our new AFP clients and friends. 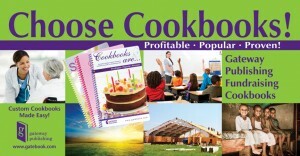 We appreciate your enthusiasm and are here to assist you in making your cookbook a huge success! Although relatively unknown, SMA is the number one genetic killer of babies. 1 in 40 people are carriers, unknowingly. 1 in 6,000 babies are born with SMA. “The gene can be detected with a simple blood test,” explains Violette. 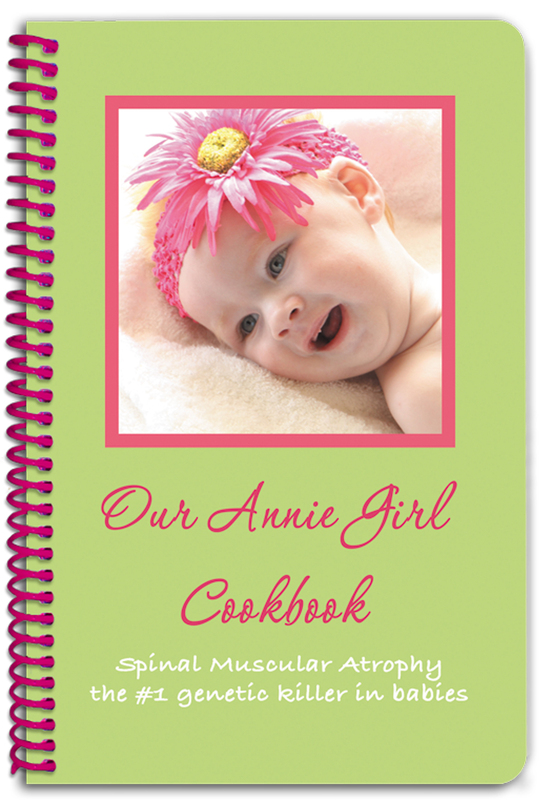 The Annie Girl fundraising cookbook contains over 300 recipes and a touching description of Annie’s story. 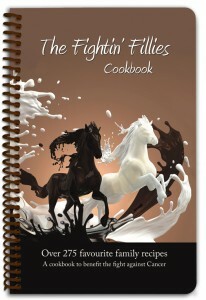 All profits from the sale of these books are directed to the Families of Spinal Muscular Atrophy (www.fsma.org). 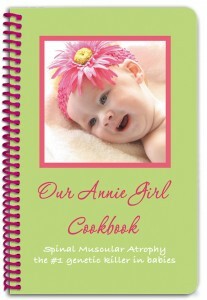 For more on Annie’s story and to order cookbooks, go to www.4anniegirl.com. Lundazi Mission Aims For Africa! When Boot spoke of the group’s goal to get to Africa by August 2012, there was really no doubt in her mind regarding how she was going to get there, and why she was doing it. For Christina Handley, raising money for cancer related causes has deep personal meaning. It’s her calling. Christina has been struck with the disease on two occasions, once with her own diagnosis, a rare form of cancer that one in a million women experience, and second, with her life long friend, a beautiful Belgian mare she grew up with, named Reba. “I received my diagnosis a year to the day that Reba passed on,” Christina explained from her farm house in Kewartha Lakes, Ontario, a rural community of approximately 150 people. “But I have to say that despite all these challenges this disease brought into my life, the reason I succeeded is because of attitude and support from people.” Christina Handley is happy to report that her cancer has been in remission for over a year and a half. Handley explains that she will sell the cookbook through Facebook, on her web site at www.fightinfillies.com, and by leaving it wherever she can in town. 100% of the book’s net profits go to the Canadian Cancer Society. Given the book’s beautiful cover and its unique personal stories of people touched by cancer, she’ll have absolutely no problem doing exactly that, and given Gateway’s profitable fundraising cookbook formula, there’ll be plenty available for a good cause. With Cintas already ran ked by NEWSWEEK Magazine among the Top 500 Greenest Companies in America, the Kelowna branch has shown a grassroots initiative of its own by publishing a fundraiser cookbook with proceeds going to Free The Children. Cintas teamed up with Free The Children in early 2011 as part of the Let Canada Be Canada initiative. Cintas is a corporation that originates out of the United States which has often tied them to American charities like the Susan G Komen Foundation. While they were happy to support such great charities, Canadian partners wanted to support a Canadian Charity which is how the partnership with FTC began. Why Free The Children? The program targets youth involvement through education and awareness but this was something that could easily be translated to all partners across the country. Funds raised are invested wisely – for every $1 raised .91 cents goes directly into the program. Much like what Cintas believes – money is spent wisely and conscious of the bottom line. FTC has simple and humble beginnings originating in 1995 in Thornhill, ON by founder Craig Kielburger. Craig was only 12 years old. Since they launched everything in April, Cintas has built a water and sanitization facility and a school in their adopted village in Kenya. 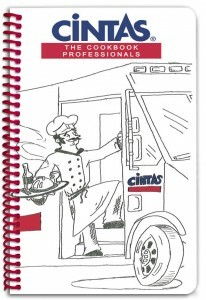 Gateway Publishing is so pleased to have played a part in Cintas’s fundraising efforts! What Do Girl Guide Cookbooks and Cinderella Balls Have in Common? 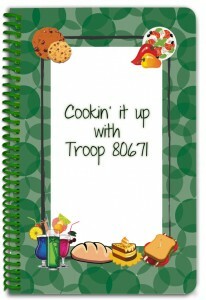 To celebrate the one hundred year anniversary of Girl Scouts USA, Jodi Hautala-Carlson produced a fundraising cookbook with Gateway Publishing. Jodi is the driving force behind Troop #80671, a Girl Guide troop operating in Conneaut, Ohio for the past 21 years. Funds raised through the sale of the Troop’s cookbook will be directed to various activities including Girl Guide awards, the 100th Year Celebration for Girl Guides U.S.A., and a Cinderella Ball to be held in 2012. The book includes 325 recipes – each important to girl guides – which includes “Thinking Day Recipes”, “Girl Scout Cookie Recipes”, and “Campfire Recipes”. 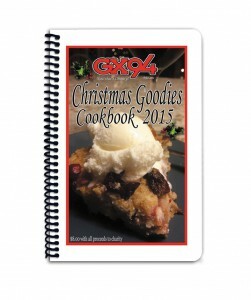 The book also features practical information for girl guides including the “Girl Scout Law, Promise, Slogan, and Motto”, and a section at the back that allows people to add their own recipes. Copyright © 2012 Gateway Rasmussen. All Rights Reserved.